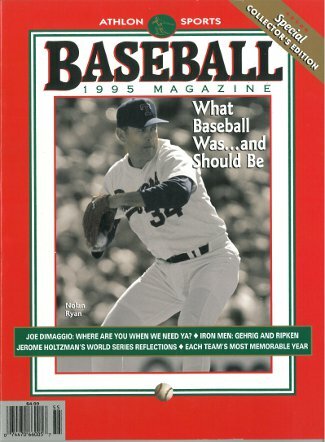 This is an Athlon Sports 1995 MLB Baseball Magazine with Texas Rangers Hall of Fame Great Nolan Ryan on the cover. This Special Collector's Edition has history and great moments throughout baseball. "What Baseball Was... and Should Be"